The Office of the Inspector-General is charged with providing independent objective advice and assurance on whether the outputs of the Organization are produced with due regard to economy, efficiency and effectiveness. 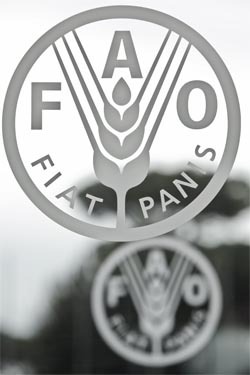 With FAO's overriding mandate of ensuring humanity's freedom from hunger, it is imperative that all resources allocated to this end, both human and financial, are used with care and not diverted from their ultimate purpose. The Office was given its current mandate via the Charter for the Office of the Inspector-General in 2000. The Charter sets out the mission and scope of the Inspector-General's work, defines its accountability and authority, and ensures its independence. The Office has both an Audit Unit and Investigative Unit. The Audit Unit conducts audits and provides advisory and consulting services to senior management to ensure FAO's system of internal control, financial management and use of assets is adequate and effective. It also helps the Organization accomplish its objectives by bringing a systematic, disciplined approach to evaluate and improve the effectiveness of risk management, control, and internal governance processes. It conducts its work in accordance with the Code of Ethics and International Standards for the Professional Practice of Internal Auditing published by the Institute of Internal Auditors (IIA) . The Office of the Inspector-General is guided by a Code of Ethics developed by the Institute of Internal Auditors (IIA). In addition, it follows the standards of the IIA and provides the training and support necessary for staff to stay current with the state of the art of internal auditing. The Investigation Unit conducts investigations in compliance with the Guidelines for Internal Administrative Investigations by the Office of the Inspector General adopted by FAO. These are based on the Uniform Guidelines for Investigations adopted and endorsed by the Conference of International Investigators, comprising professionals from international organizations, including UN organizations and International Financial Institutions.